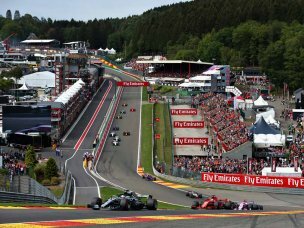 A choice of tickets are available to watch the Belgian Grand Prix 2019. Enjoy three nights' in a 4★ or 5★ hotel, with daily breakfast. 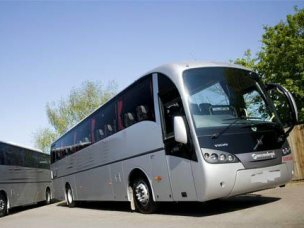 Coach transfers to and from the circuit on Sunday are included in your package. Saturday circuit transfers can be added to your package for £29pp. 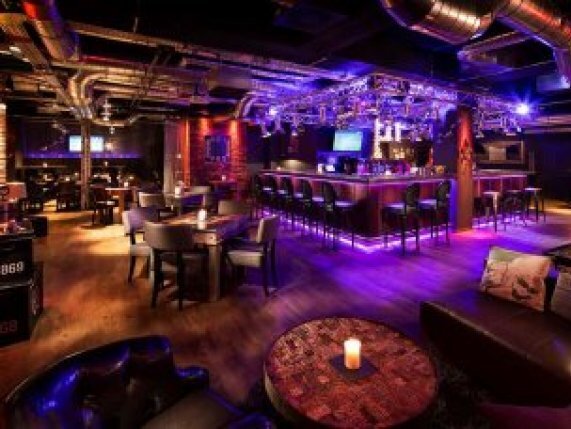 Join Gullivers and your fellow F1 enthusiasts for informal drinks, details to be confirmed. 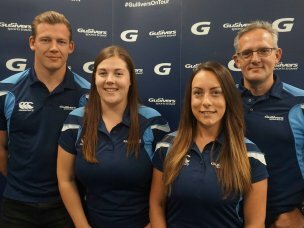 Gullivers’ representatives are on hand in Liege for the duration of your trip. 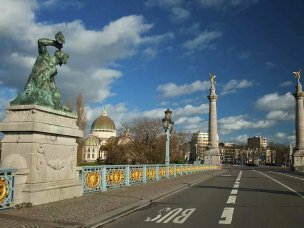 Make your own way to Liege and check-in to your hotel. 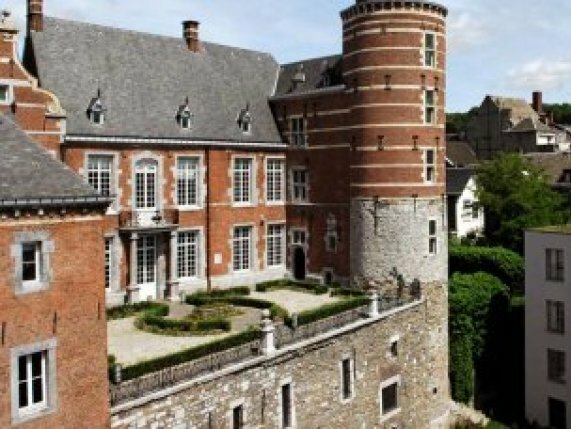 Spend three nights on a bed and breakfast basis at your hotel in the heart of Liege. For those attending Qualifying Day, after breakfast, our escorted luxury coach will take you to the circuit. At the end of the day’s events, the coach will take you back to your hotel. Due to traffic around the track the transfer time can be over an hour each way. 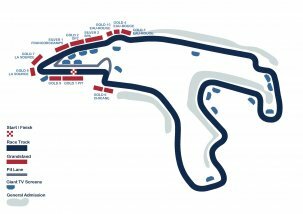 In addition to the F1 action, expect to catch a range of on track action including qualifying and races for the GP2, GP3 and Porsche Super Cup Series. 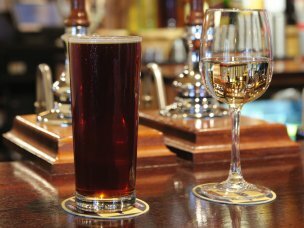 The evening is yours to spend at leisure. After breakfast, our escorted luxury coach will take you to the circuit. At the end of the day’s events, the coach will take you back to your hotel. Due to traffic around the track the transfer time can be over an hour each way. Bronze General Admission ticket provides the chance to roam around and explore the different areas of the circuit at a good value for money. 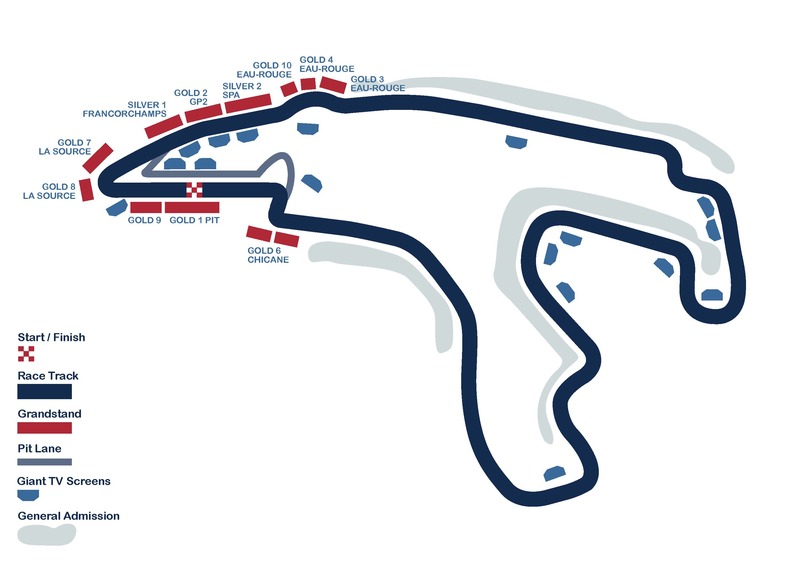 Some good Bronze spots are on the Kemmel straight after Eau rouge, after the Bruxelles turn and at the Pouhon turn. Kemmel straight offers a great view for the race and plenty of overtaking. Watching from the hill overlooking Pouhon corner is a must-see for any F1 fan. And from the F1 village, located at the foot of Eau Rouge, you can see the cars flying up the hill. Giant screens are also available around the track. From this prime location, you will see the cars exit the first corner La Source hairpin and race past you into Eau Rouge corner and Raidillon. This Grandstand is uncovered and features a TV screen so you won’t miss a second of the action! The F1 village is located close to this grandstand. From this new uncovered grandstand in the heart of the forest, you will see the cars at high speed in this sweeping section of the track. The Grandstand also features a TV screen so you won’t miss a second of the action! Please note this Grandstand is slightly further away from the coach park and is therefore unsuitable for people with mobility issues. The Gold 4 Grandstand is located on the fifth corner. It offers unbelievable views of the circuit all the way from the La Source hairpin, through Eau Rouge and into the Raidillion left-hander. This section is considered by many the most challenging of the entire F1 calendar as drivers attempt to take Eau Rouge flat-out. This can catch out even the very best as after Eau Rouge they are launched into a pretty long straight. The Gold 4 Grandstand also features a big screen TV so you won’t miss a second of the action! The Gold 3 Grandstand is located on the fifth corner. It offers unbelievable views of the circuit all the way from the La Source hairpin, through Eau Rouge and into the Raidillion left-hander. This section is considered by many the most challenging of the entire F1 calendar as drivers attempt to take Eau Rouge flat-out. This can catch out even the very best as after Eau Rouge they are launched into a pretty long straight. The Gold 3 Grandstand also features a big screen TV so you won’t miss a second of the action! Gold 6 Grandstand is situated on the outside of the bus stop chicane, located just after the very fast Blanchiment corner and leads into the short pit straight. In this section the cars reach speeds of up to 305km/h in 6th gear, before braking very hard for this fairly tight, 90km/h and first gear right/left chicane. This chicane makes it a possible place for passing and over-shooting. A big screen TV is located across from the stand on the other side of the track, which enables you to follow the entire race and not miss a second of the action. The Gold 7 Grandstand is located at the start of the incline of Eau Rouge, giving fantastic views as the cars head up towards Raidillon as well as the infamous 'La Source' first corner. You also have a great view of the pit lane exit. Sitting in the heart of one of the fastest section of the track is sure to be a memorable experience. The Gold 8 Grandstand offers a direct view over the legendary 'La Source' hairpin and the start/finish straight, making it a great spot to see cars navigate one of the most famous first corners in F1. Views down the hill into Eau Rouge and the pit lane exit are also included. The Pit Grandstand is located at the start and finish line of the circuit. It offers you a view of the build-up to and the start of the race, as well as an excellent view of the racing teams and their pit activities. The grandstand also offers you distant views of the La Source hairpin and of the cars braking and overtaking into the La Source hairpin. Two big screen TV's is located across from the stands on the other side of the track, which enables you to follow the entire race and not miss a second of the action. Located between La Source and Eau Rouge, these VIP suites are situated above the GP2 pits with access to the roof top terraces to offer brilliant viewing. Included with this ticket comes breakfast, a gastronomic meal, open bar from 8:30am - 6pm and LED screens. The ultimate in F1 Hospitality, to include VIP access to the circuit, viewing from above the pit garages and entertainment. 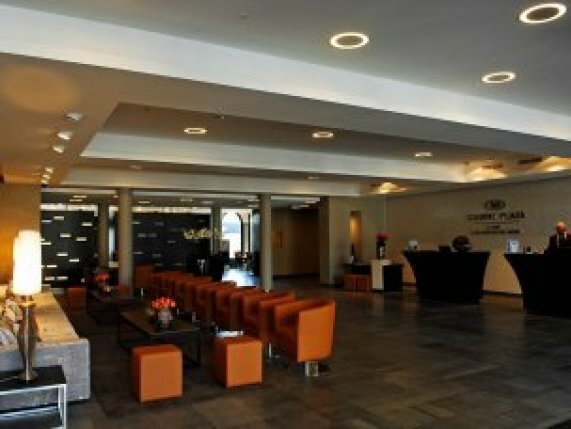 Luxurious 4-star property set in a prime location in the centre of Liege. 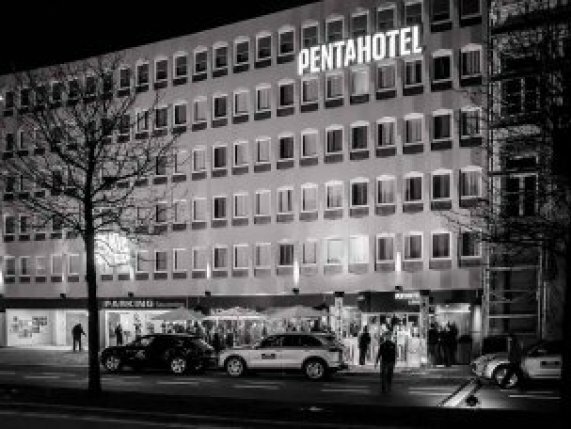 Their pentalounge, designed by Matteo Thun to be a restaurant, bar, meeting spot and chill-out area, all in one, epitomises the lifestyle design of the hotel. 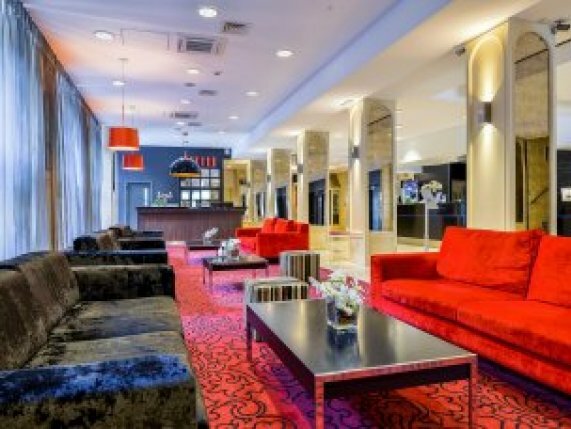 The premium hotel in Liege, formally the Crown Plaza 'Les Comte de Mean' makes the ideal base to enjoy the historic Belgian Grand Prix with shorter transfer times to the track allowing you to make the most of your weekend away. 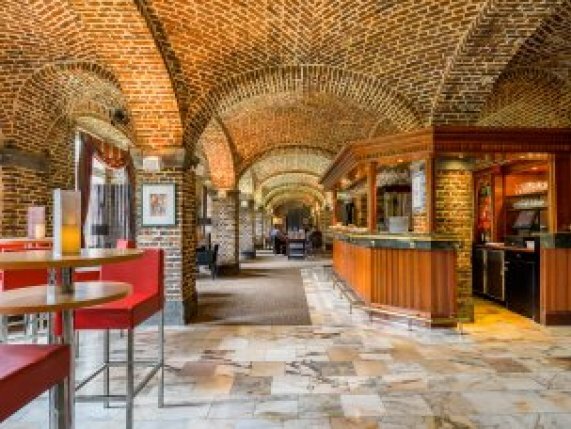 This 5* hotel is located in the picturesque town of Liege and is often the base for many of the teams.